Lia, if you turned a business you would support your bento accumulation hobby! You are getting expert with the stuffed bread balls; so cute! So cute Lia! 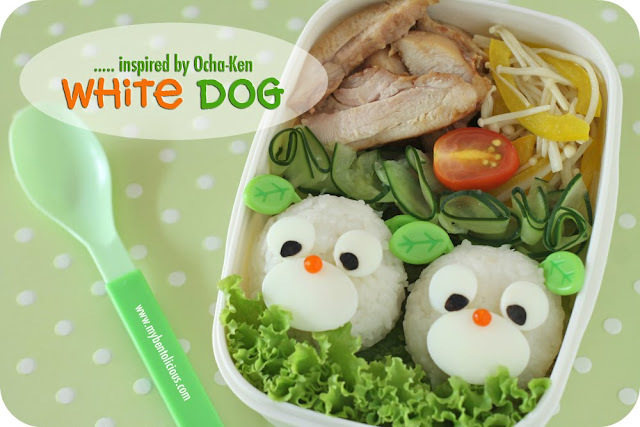 Your bento business would be a success, you are so creative! What a pair of winsome, sweet bentos! Always a refreshing break to visit your site and emjoy your bento artistry, Lia! I just love your presentation.. that makes the difference.. :) so much to learn from you..
Love how you do with the cucumber pickle...! Both white dogs & bears are so cute. Congratz on the tabloids'interview. Hope you'll also publish your very-own bento book in the near future. @Fang Fang : Thanks a lot Fang Fang for your kind comment! 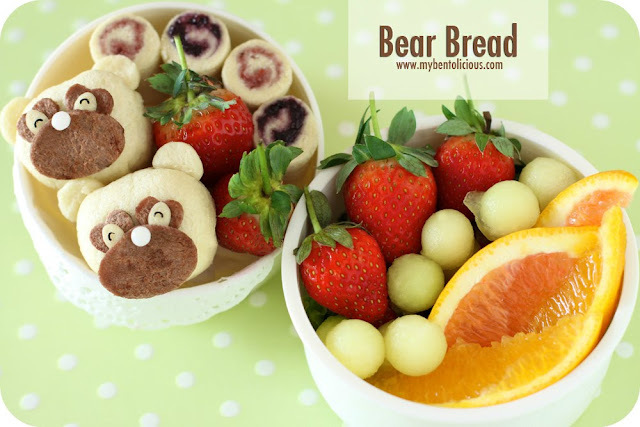 ni Lia Chen, the bear bear ball is so cute. How do you shape it? ?